Are You Committed to Building a Project Management Career? But you feel like no-one has really understood your potential as a Project Manager? Or are you faced with a Project Management challenge that is stretching you beyond anything you have taken on before now? ... and now you feel like you're fighting for control of the one Project that could be vital to your career? Or do you need to improve the way you deliver your Projects to get more of them on schedule, on budget, and to the delight of your sponsors? ... and you feel like you're being judged unfairly. You need training and tools: not reminders and criticism? 120+ high quality videos. 14+ hours of video content. See Mike speak with you, as if you're at his live seminars. Worksheets, articles, templates, downloadable audio podcast versions of all videos, and a full project management glossary. Q&A with Mike. Continuous one-to-one support from an expert, allows you to ask questions, get feedback, and relate your learning to your real-world project. Use powerful project planning tools like Gantt and Network charts, Work, Cost, and Organizational Breakdown Structures, and RACI charts. Which will give you success and make you more promotable! ...are committed to making your next project the successful foundation of a long-term project management career﻿﻿. ...have some experience, but need a refresher on the basics and new knowledge to stretch you further. 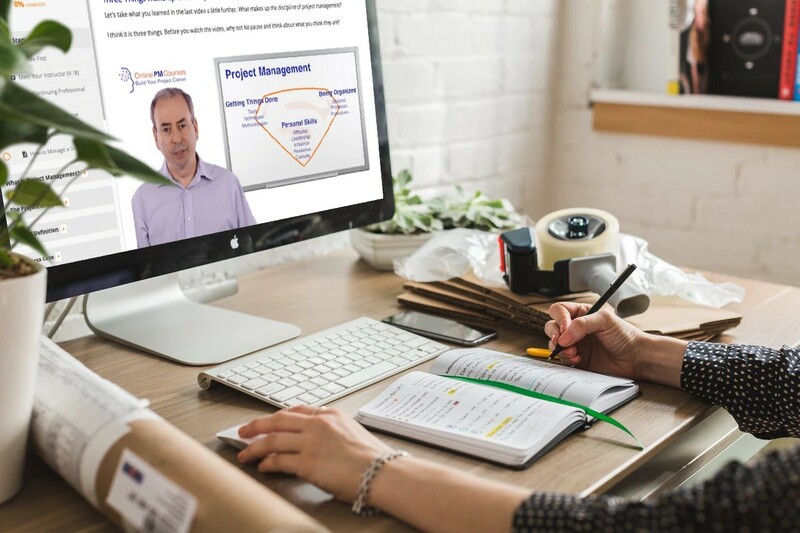 In this course, you’ll get 16 hours of Project Management learning, going deep into the craft of Project Management. And your team will do their work well. If this sounds like you, and if you are ready to start succeeding as a Project Manager, enrol now by clicking the button. By the end of this course, you’ll have transformed your ability to get results. But note: the Q&A is not outsourced to some Fiverr pay-by-hour service. It's me: Dr Mike Clayton. So there may be some delays to Q&A responses over the holiday periods! Mike is one of the most successful and in-demand project management trainers in the UK. He is a prolific blogger, contributor to ProjectManager.com and Project (the journal of the Association for Project Management - APM), and author of 14 best-selling books, including five about project management. Mike was a successful project leader, as a consulting Senior Manager with the London office of Deloitte, and has trained project managers in all sectors, including Government, small business, not-for-profits, and global corporations. ​The Project Manager's Immersion Program? Have anytime, anywhere convenience, so you can learn when, where, and how you want to. Get training written and delivered by an experience Project Manager AND Trainer with nearly 20 years of training Project Managers, so you get reliable, pragmatic knowledge. Corporate volume licences are available on request. Thinking that Project Management isn't for you. You aren't ready, it's too hard, there won't be any opportunities, or you need a live learning program to get started. Nonsense: If you want it. If you need it. Go and get it. Get it here, or get it somewhere else, but get it NOW! If you don't, someone else will. Trying to cobble together your Project Management training on the cheap. There is a lot of good stuff on the web, for free. There is a lot on our website. Too many people try to build a YouTube syllabus and get themselves totally confused and misled by conflicting advice, mismatched terminology, inconsistent approaches, and downright awful content. ​Reality: If you want quality, you need to pay for it. The Time-Cost-Quality triangle is one of the core Project Management concepts (the module: Triple Constraint). If you want quality, and speed, you need to pay. If you want it cheap, you'll need to sacrifice either speed or quality... or both. Putting too much work into reinventing the Project Management wheel. A lot of Project Management is applied common sense. So you could figure it all out if you needed to. But it would take time, and you would doubtless make many more mistakes along the way. ​Efficiency: Why waste your precious time figuring out detailed processes, creating useful tools, and learning valuable tips for yourself, when you can tap into many years of training, learning and experience.